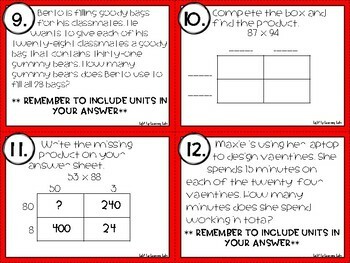 Task cards are a great way to engage your students! 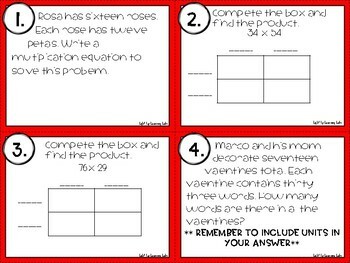 These Valentine's Day themed task cards will keep your students focused and on task as they provide a variety of ways for them to show their learning. 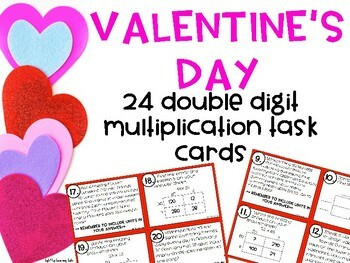 24 task cards ask students to solve double digit multiplication problems using the standard algorithm as well as the box method. 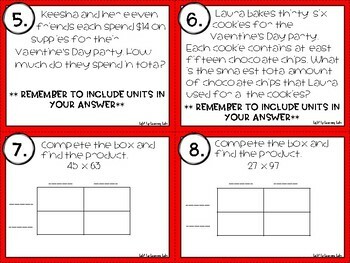 Students also are asked to find errors in completed box method questions. Students are also asked to write equations and solve double digit word problems.